From Bonnieux we descend through the narrow village streets and reach the valley. We climb up a pleasant path through the oak wood, climbing high above the valley, and into the picturesque cedar forest that densely covers the ridge of the Petit Luberon. An optional side-loop takes us to a lookout to the south, from where the views extend to Cézanne’s Sainte Victoire Mountain, the plains of the Durance River, and on a clear day even the glistening Mediterranean Sea. We enjoy a gourmet Provençal picnic atop the ridge before heading back down into the valley. Depending on our pace (and legs!) we can take an optional detour to visit the village of Lacoste, crowned by the ruins of the castle of the Marquis de Sade. Friday is the BIG morning market day in Bonnieux ! Make sure to enjoy its great ambiance before you meet your guide and start your walking day ! 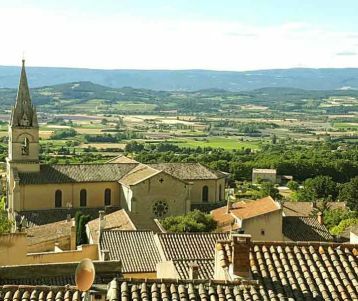 Bonnieux is one of the prettiest villages of the Luberon Mountains, its cobbled streets climbing up to the 12th century church that crowns the village. From Bonnieux we’ll descend through the narrow village streets and reach the valley. Passing an isolated lavender field we climb up a pleasant path through the oak wood, climbing high above the valley, with superb views of the vines and orchards that blanket the plains, and of the hilltop villages that dot the slopes. On the ridge we’ll head into the picturesque cedar forest that densely covers the Petit Luberon. 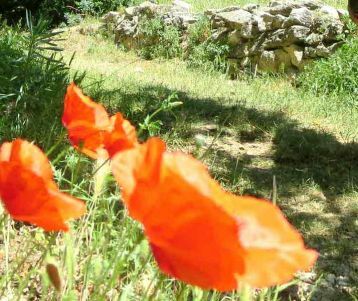 An optional side-loop will take us to a lookout to the south, from where the views extend to Cézanne’s Sainte Victoire Mountain, the plains of the Durance River, and on a clear day even the glistening Mediterranean Sea. We’ll enjoy a gourmet Provençal picnic atop the ridge before heading back down into the valley. Depending on our pace (and legs!) we can take an optional detour to visit the village of Lacoste, crowned by the ruins of the castle of the Marquis de Sade. If we don’t visit Lacoste by foot we highly recommend a stop there on your way back to your accommodation. 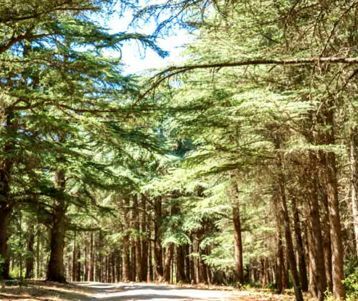 The walk is 12km in total, and you can expect up to 4 hours of walking time along the trails. The paths are easy underfoot on rocky terrain. A sustained climb, lasting up to 2 hours, leads to the ridge, while a steep downhill takes us down to the valley (1 hour descent). Ankle supporting hiking shoes or trail runners (if used to them on rocky trails).